Welcome to “The Spectacular Now” starring Shailene Woodley and Miles Teller from the writers of “500 Days of Summer” and based on the New York Times best-selling book. In April 2013, the Chicago Film Critics Association (CFCA) became the first association of professional critics to host their own film festival: the Chicago Critics Film Festival. In other words, you don’t want to miss “The Spectacular Now”. This coming-of-age comedy/drama “hits you like a shot in the heart”. To help you see why Chicago critics fell in love with the film, we’re once again hooking up our loyal readers with 30 pairs of advance-screening movie passes in this edition of HollywoodChicago.com Hookup: Film. 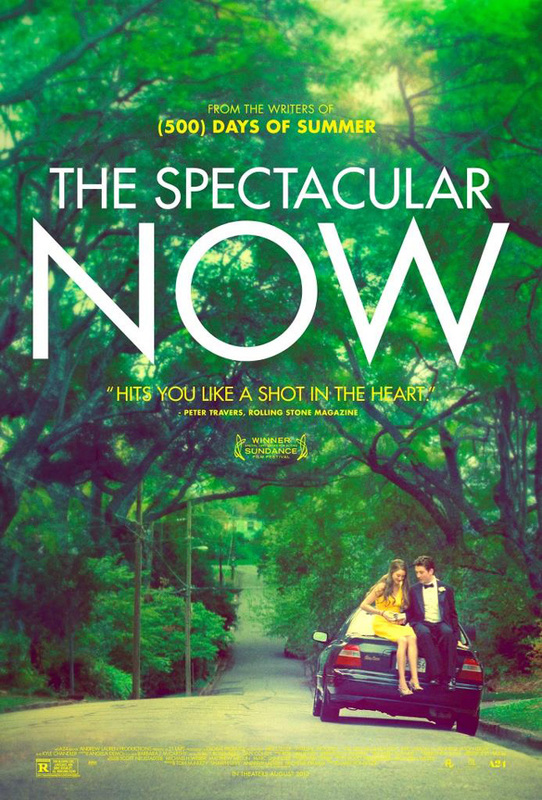 “The Spectacular Now,” which is rated “R” and opens in Chicago on Aug. 9, 2013, also stars Brie Larson, Mary Elizabeth Winstead, Jennifer Jason Leigh and Kyle Chandler from director James Ponsoldt and writers Scott Neustadter and Michael H. Weber. Note: You must be 17+ to win and attend this “R”-rated screening. The film won the Special Jury Prize at this year’s Sundance. To win your free “The Spectacular Now” passes courtesy of HollywoodChicago.com, just get interactive with our unique Hookup technology below. That’s it! This screening is on Tuesday, Aug. 6, 2013 at 7 p.m. in downtown Chicago. The more social actions you complete, the more points you score and the higher yours odds of winning! Completing these social actions only increases your odds of winning; this doesn’t intensify your competition or lower your odds! at 11 p.m. CST. These Hookup winners will be awarded via e-mail that night. Sutter Keely (Miles Teller) lives in the now. It’s a good place for him. A high school senior – charming and self-possessed – he’s the life of the party, loves his job at a men’s clothing store and has no plans for the future. A budding alcoholic, he’s never far from his supersized, whiskey-fortified, thirst-master cup. But after being dumped by his girlfriend, Sutter gets drunk and wakes up on a lawn with Aimee Finicky (Shailene Woodley) hovering over him. She’s different: the “nice girl” who reads science fiction and doesn’t have a boyfriend. While Amy has dreams of a future, Sutter lives in the impressive delusion of a spectacular now. Somehow, though, they’re drawn together. The movie poster for “The Spectacular Now” starring Miles Teller and Shailene Woodley. This HollywoodChicago.com Hookup is simple! Just get interactive in our unique Hookup technology above. We will award 30 admit-two movie tickets based on social entry numbers and/or randomly via e-mail for our “The Spectacular Now” Hookup. Good luck!